Yep! While many of the conversations occur in the main window, users can also conduct private conversations and private video calls with other users. 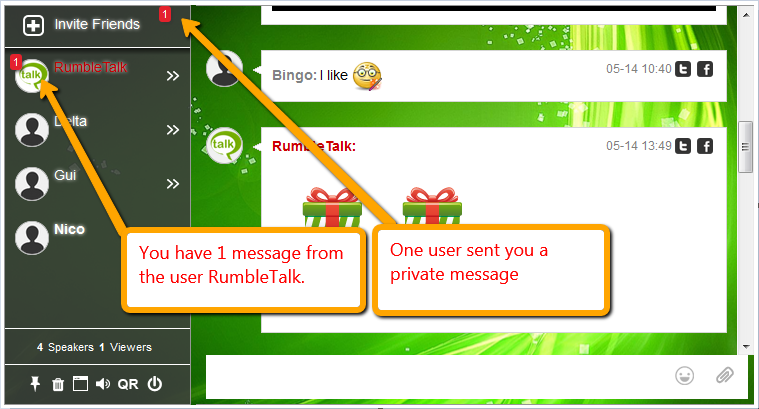 The chat owner may set private messages to OFF, so private messages will be disabled to all. The chat owner may set private messages to ADMINS only, so private messages can only be sent to the ADMIN and by ADMIN. Previous postWho is allowed to access the transcripts? Next postCan I make live video or audio calls in the group chat room?